Did Rev. Josh’s last sermon get you thinking or touch you in a personal way? Was there some­thing about the topic you’d like to explore further with other members and friends of UUS:E online? Then, you are not alone. Over 120 people are now a part of “Dialogue from Your Home.” Members and Friends of UUS:E are welcome to join the group at any time. Discussions are on-going for one week fol­lowing Josh’s service. It’s a wonderful way to reflect on the service and engage “virtually” with oth­ers. Any questions? Contact the Church office at uuseoffice@uuse.org or call 860-646-5151. 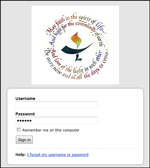 Click Here to Log on to Basecamp 3 or click Basecamp 3 in the upper right after logging into Seework. We are now offering the new Basecamp 3. Basecamp is a private, secure space online where people working together can organize and discuss everything they need to get a project done. See it, track it, discuss it, act on it. Tasks, discussions, deadlines, and files – everything’s predictably organized in Basecamp. For Seework users (Basecamp Classic), you will see no change in how you are currently working in Seework. All your data is available and will remain available in the future. Committees and groups that would like to start using Basecamp 3 to organize their meetings, share documents, create to-do lists, and communicate can now have a project in the new Basecamp 3. 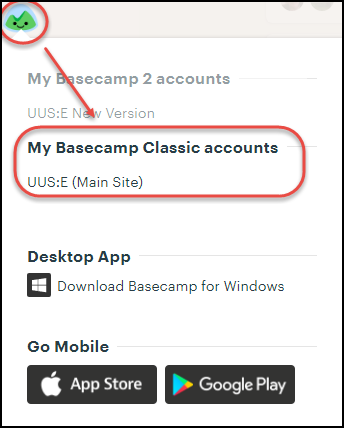 Basecamp 3 is user-friendly, easier to navigate, and even has folders! We can add you to a playground project to try things out, or create a project just for you and your team. If you would like a tutorial for your team, and to start your project, contact Joe Madar, Carol Marion, or Annie. Edited Sunday Services led by Reverend Josh are now available to download on Seework! Whether you’d like to read a service or listen to an audio version, log into Seework and download the files. Connect to the service at your leisure, whenever and wherever it works for you. Josh’s services will be posted online the Monday immediately following the Sunday service. I’m so impressed with our tech advancement, especially with what Seework has made possible. 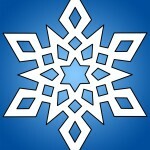 I’ve listened to several sermons via the mp3 that is posted. That has made all the difference to me. In the last year, my involvement in RE, my mother’s needs, and the expansion of my sister’s family have all limited my ability to enjoy Sunday services. Having grown another appendage, my iPhone, I can listen to the sermons from anywhere. I have impressed many a friend that our church provides this service. Accessing seework to take part in this online dialogue was very cumbersome from my phone, and I just discovered an app for Basecamp (Seework) which allows me access most of what I see on the full online version of Seework. I expect to be participating in the dialogue more now! All of this is very excitingto me. 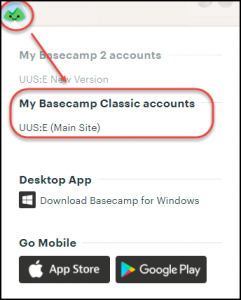 You can find the Basecamp classic or Basecamp 3 app in your Apple or Google store. View selected services on your local cable station.